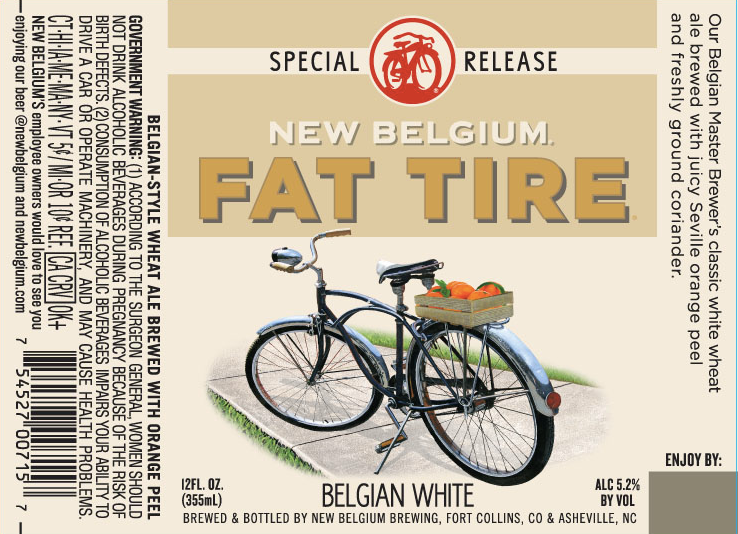 Following in the footsteps of other large, established U.S. craft beer companies who have introduced flagship line extensions in recent years, New Belgium Brewing today announced plans to release a Belgian White version of its popular Fat Tire brand. Slated for a nationwide rollout beginning August 1, New Belgium’s new unfiltered wheat offering will compete for market share against other well-known wheat beers — including MillerCoors’ Blue Moon Belgian White, Anheuser-Busch InBev’s Shock Top Belgian White and Allagash Brewing’s White Ale — in the second-largest craft category by style. The decision to introduce the new brew as a line extension, instead of as its own brand, was inspired by last year’s Fat Tire & Friends collaboration pack that featured reimagined takes on New Belgium’s flagship offering, brewery spokesman Bryan Simpson told Brewbound. The announcement comes at a time when sales of New Belgium’s original Fat Tire Amber Ale are down 3.3 percent year-to-date through March 19, according to market research firm IRI Worldwide. 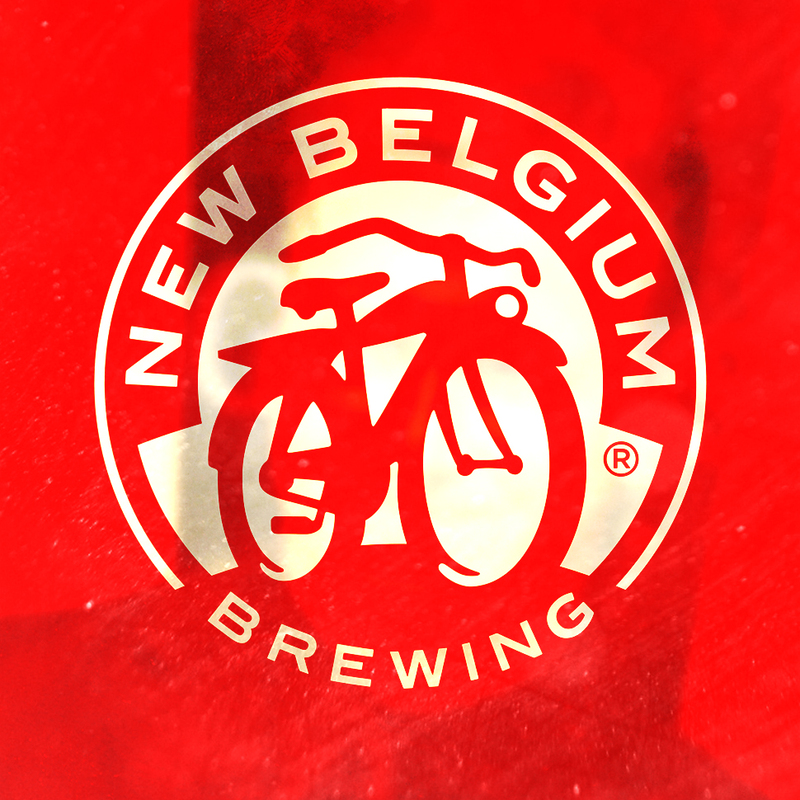 New Belgium – the country’s fourth largest craft brewery according to the Brewers Association – is latest craft outfit to attempt to reinvigorate sales of its flagship via a line extension. At the end of last year, Sierra Nevada announced plans to release two of its own: Sidecar Pale Ale and Tropical Torpedo. 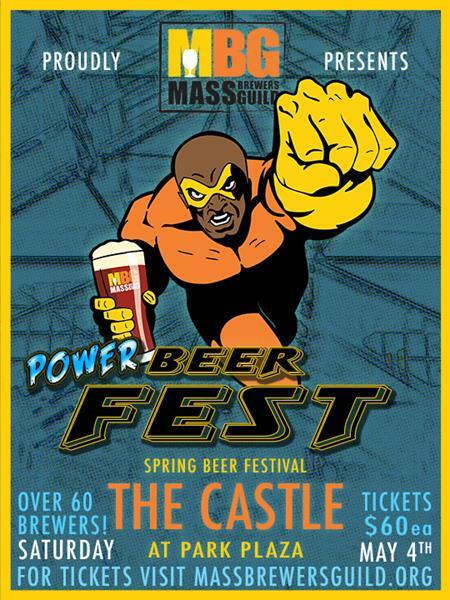 Similar moves by Boston Beer Company, with numerous Rebel IPA spinoffs, and Widmer Brothers, via the release of Hefe Shandy, were also made in 2015. The Colorado-headquartered brewery will also continue to sell its Sunshine Wheat, which is filtered, Simpson added. Other New Belgium takes on the style — Snapshot Wheat and Mothership Wit – were previously discontinued. It’s worth noting that Blue Moon Belgian White is currently ranked as the top-selling craft beer in the U.S., according to IRI Worldwide. Sales for that brand are up 4.7 percent year-to-date. Additional information about Fat Tire Belgian White Ale is included in the press release below. Ft. Collins, Colo. – April 4, 2017 – New Belgium Brewing is pleased to announce a new beer to the Fat Tire trademark family with the launch of Fat Tire Belgian White Ale, a special release beer slated to hit shelves in August. This light-bodied, unfiltered wheat beer, brewed with juicy Seville orange peel and freshly ground coriander, will provide the perfect balance of refreshment and drinkability with just a hint of sweetness. Seville oranges have a brighter, less cloying sweetness than Valencia oranges that are typically used in Belgian White beers. Fat Tire Belgian White will be available in 12oz. bottles and on draft starting August 1. It will also appear in can variety packs. New Belgium’s portfolio has started 2017 strong with Voodoo Ranger IPA, Voodoo Ranger Imperial IPA and Dayblazer Easygoing Ale having secured the top three spots for true craft beer launches in 2017 according to latest Nielsen reports.